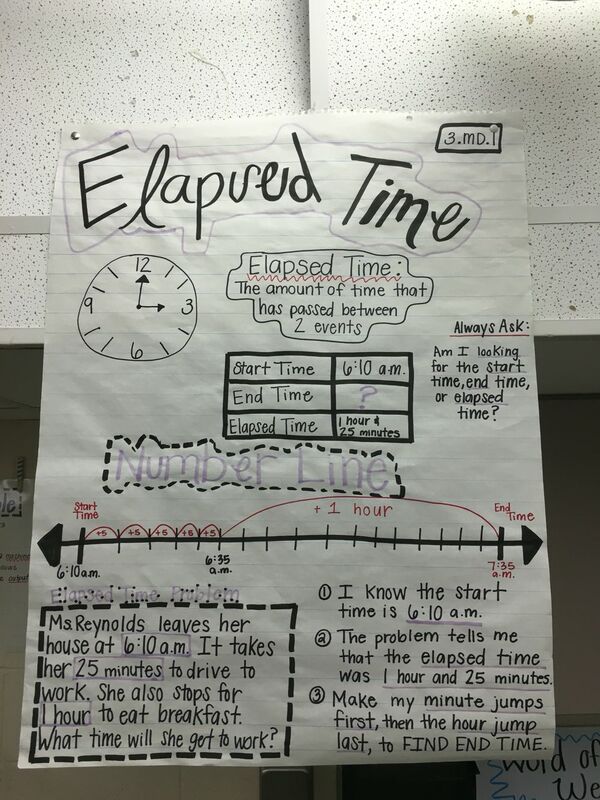 3.MD.1 elapsed time anchor chart! Ruthe began her workout at 11:07 AM. She finished at 12:04 PM. How long did Ruthe work out?